The Vampire Diaries Season 5 Episode 12 features Elena breaking Damon's heart. Except she isn't really Elena. She's Katherine. Confused? Don't be. Just watch The Vampire Diaries Season 5 Episode 12 online. Watch The Vampire Diaries Season 5 Episode 12 online and watch Damon commited cold-blooded murder. Also, enjoy Katherine doing her best Elena impression. 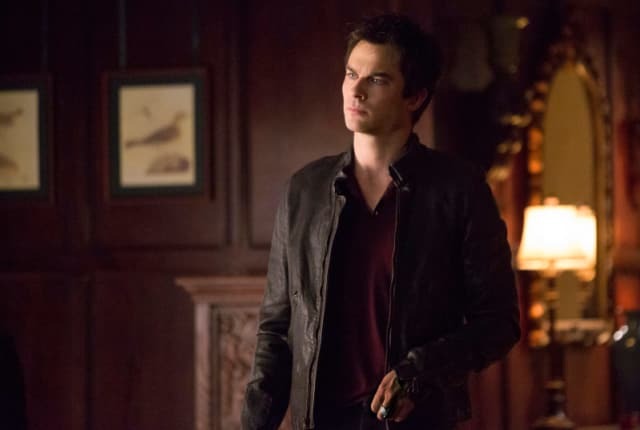 Enzo brings Damon a gross present on The Vampire Diaries this week. He insists they bond over some revenge.